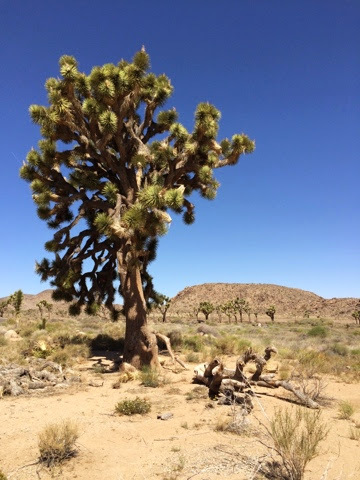 Our first stop in California was Joshua Tree National Park and it was spectacular! We pulled into camp late Sunday night and almost had the place to ourselves. Monday morning we got up early and did a tour of the park. 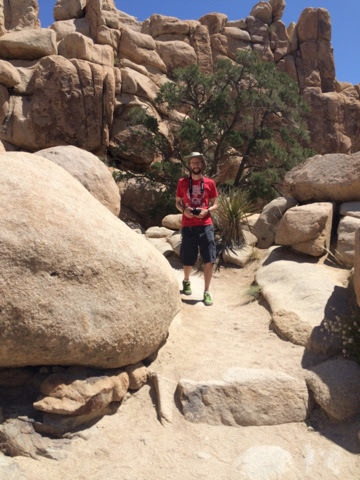 It was hot but as we climbed in elevation there was some relief with the temperatures. 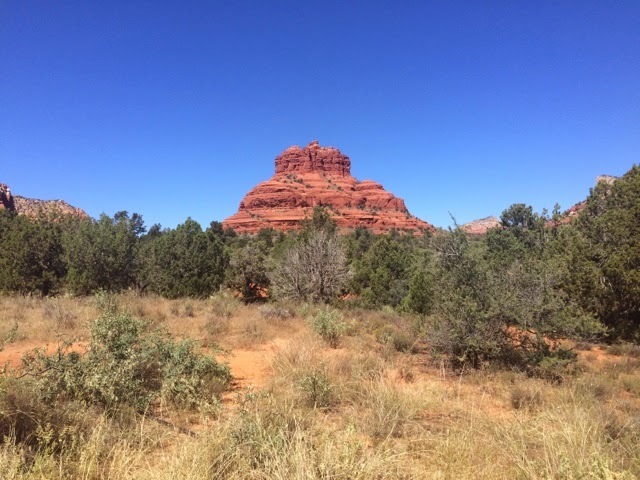 The unique desert scape alone is worth the trip, but the stunning rock formations sealed the deal as the best park we've been to so far. 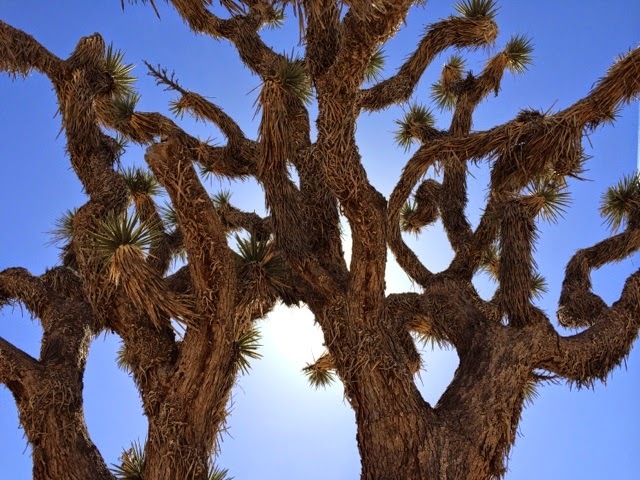 We're in a little bit of a rush now, but Joshua Tree ranks high on our list of re-visits so we can spend a good chunk of time exploring it in depth. 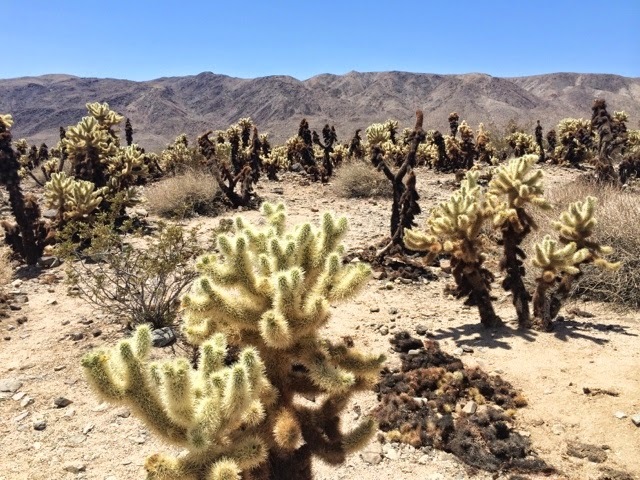 Monday afternoon we started our super diverse trek from Joshua Tree to Lake Jennings via the Sulton Sea, the sandiest desert I've ever seen, and out the other side of some wooded mountains. 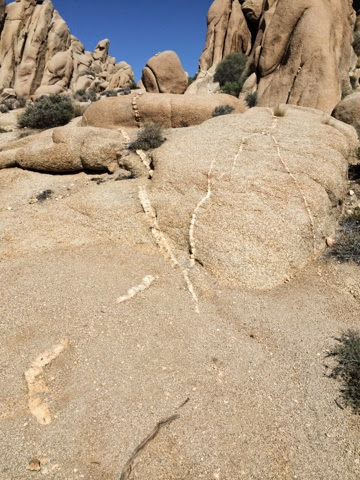 We also took one of the neatest roads I've ever driven: Box Canyon Road, just south of Joshua Tree. It winds you down an old river bed tucked between two rock faces and then spits you out near the Sulton Sea. If you've never heard of the Sulton Sea and you've got some time, you should look into its history. It is a huge lake that's a result of a couple engineering disasters and then flooded by accident. 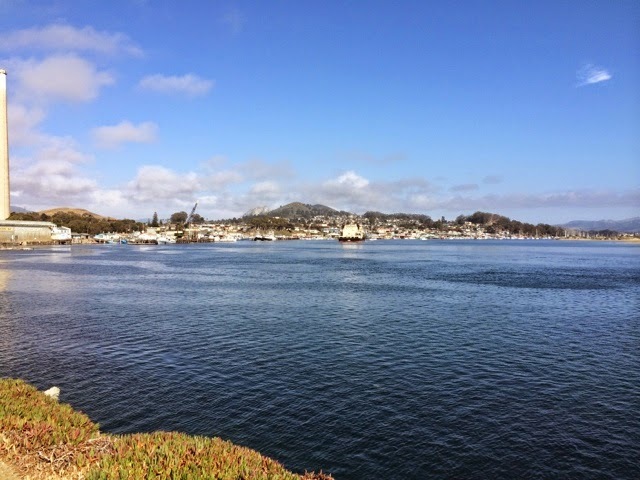 They tried to turn their lemons into lemonade and make it a resort town, but then they realized the water is agricultural and industrial runoff and highly toxic. 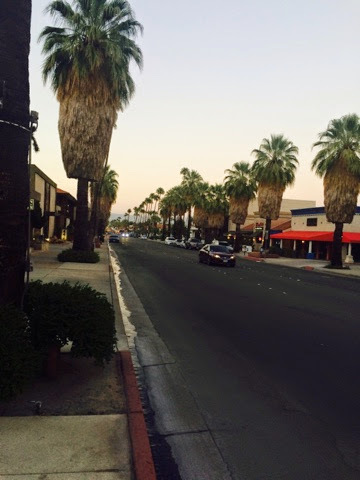 It had the feel of a ghost resort town, but surrounded by palm tree farms. We spent Monday and Tuesday night at Lake Jennings, just outside of El Cajon. On Tuesday we spent the day in San Diego. At the recommendation of practically everybody, we visited the zoo. It was great! 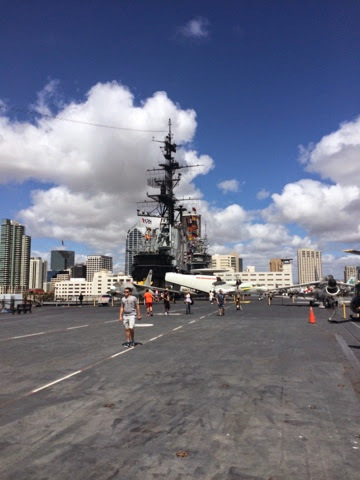 We then went to the USS Midway, an aircraft carrier that is now docked and serves as a museum. 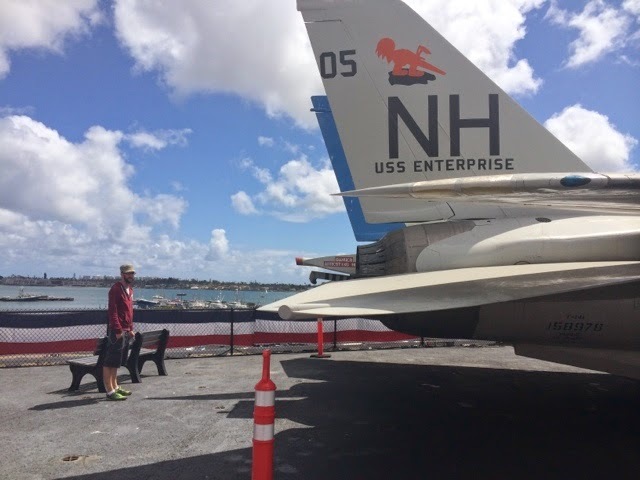 We toured the ship and Ryan ogled some airplanes. In addition to doing touristy things, we wanted to get a sense for the city, so we drove through Ocean Beach, La Jolla, and Mission Beach. We stopped at the dog park in Ocean Beach and for some dinner. We then went to the Gaslamp quarter and met Ryan's friend, Jeremiah, for a couple drinks. 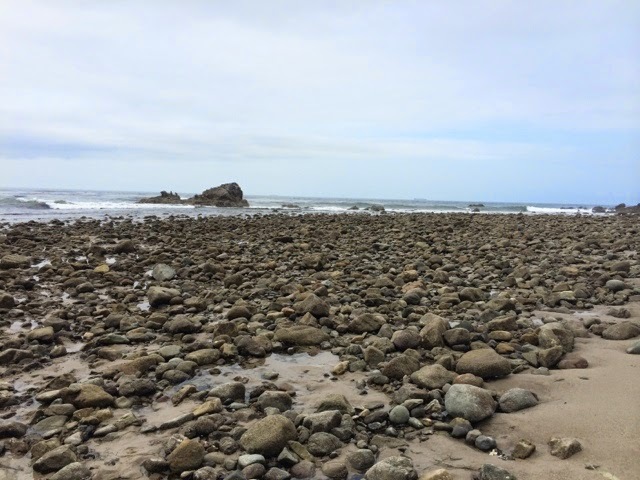 On Wednesday we headed north through Los Angeles and camped just outside of Malibu at Leo Carrillo Beach State Park. We were going to spend some time in LA, but after driving through the nonstop highway and suburban sprawl, we had no desire to go back. I wasn't sure what to expect of Malibu, but it's a really nice area with a filthy amount of money. Porsches and Range Rovers everywhere. The grocery store is really nice, though. They have produce I've never seen before, like it's made for a fancy restaurant. Leo Carrillo Beach was beautiful, but a little chilly. The surfers were out but it was too cold for general swimming. I would definitely hit up the area again. 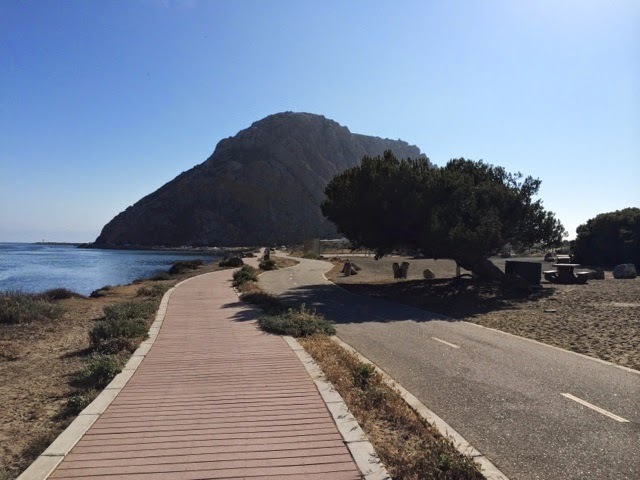 This morning (Thursday) we made the best accidental discovery of the trip so far: Morro Bay. 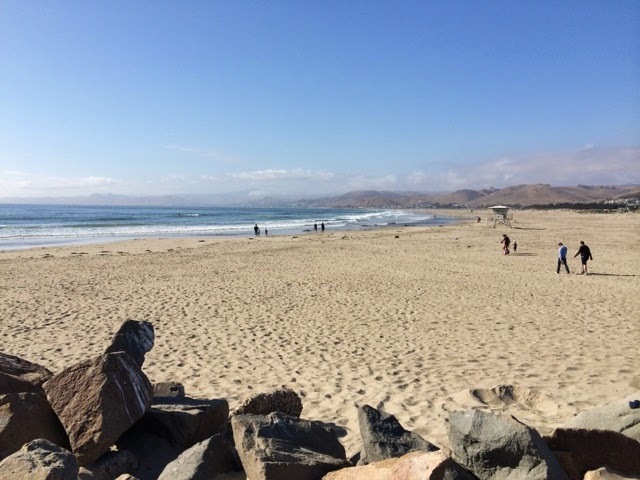 Our next stop was going to be Monterey, but it was too far of a drive from Malibu, so we thought this was a good midway point. At the gas station Ryan met a man from here who gave us some pro tips on the city. When we got to the State Park campground we knew we made the right decision. The whole state park smells so good because they have eucalyptus trees everywhere. There is a bird rookery. There's an estuary that is home to otters and seals that we saw and heard. 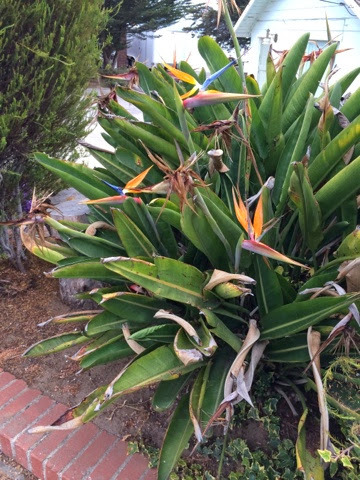 People have birds of paradise and artichoke plants growing in their yards. It smells like the ocean and the beaches are nice and sandy. It's quaint and if we liked seafood we would have no reason to leave, but the Thai food is also really great. It's not too hot and not too cold. It's just our speed.